Cris Cyborg made her MMA debut back in 2005, and in 2009 she became the first women to headline the card. In 2017 she made her UFC debut, and in her second fight, she won the vacated UFC featherweight title after beating Tonya Evinger. During her reign as champ, Cyborg wanted to cross path against former UFC bantamweight champion and Olympic judo medalist Ronda Rousey who was one of the biggest stars in the UFC and sold millions on Pay-Per-View. During her run as champ, Rousey crushed all her opponents inside the Octagon. She held the UFC belt for three years. 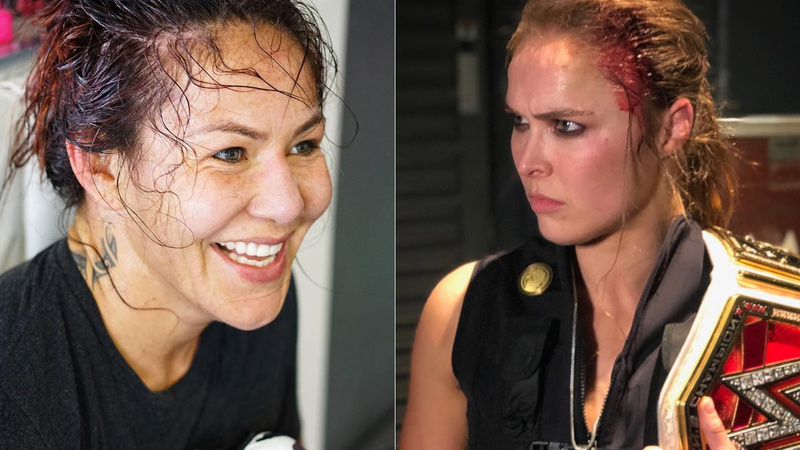 During their dominant run in the UFC, the matchup between two female champs had been speculated about for years however the possibility of the bout fall off when Rousey retires from the sports after suffering from two devastating losses. In the year 2018 Rousey joined WWE and made her promotional debut at the Royal Rumble pay-per-view event. Currently, she’s booked to defend her Raw Women’s title against Becky Lynch and Charlotte Flair at WrestleMania 35 in April. Cyborg acknowledges Becky Lynn’s Twitter post about Rousey and jumped into and hilariously trolled former UFC champ. Cris Cyborg’s 13-year undefeated run ended at UFC 232 when Amanda Nunes put her to sleep via KO punches and the future of former champ is still up in the air.